You’ve asked for it. And we listen. 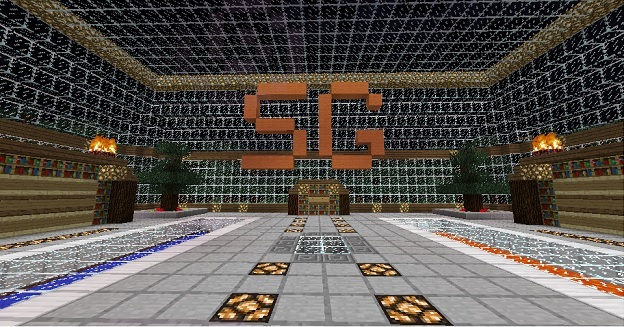 This entry was posted in Minecraft Skyblock Server News, Minecraft Survival Games News on April 27, 2013 by heatseeker0. Oh, it was a group effort. Ladyblanche participated with her insight and builder talent at the spawn too, as well as many others with suggestions and help. 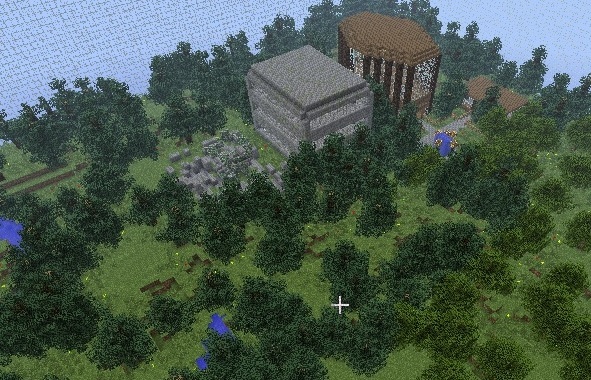 I’ve downloaded the official survival games map and made some edits but is not done would that be ok if I sent you that? Sure, but first finish it completely then send it. That… is kind of hard to explain in a small comment. You know how to save the map you did into a ZIP file? Ummm… Sort of, I can ask my dad to help.. What do you do with the ZIP File? You send me a short email using the Contact form, I’ll reply and then you can attach the ZIP file and send it to me by email. Also, if you do, Will you still have to make the glass dome around it, and take out the extra land around the glass dome/arena? Yea, I’ll do the glass dome and cut the map to just the arena. Now, we have a new update with guns and bullet proof blocks and armor ppl! Heat is a secret Mojang Member…. Oh… ok.. So Heat is the unknown Mojang Source? Heat would actually be a great Mojang Member.. He works hard.